day 59 - 02/28/2007 - Another day almost gone without taking a picture. Luckily I remembered before going to bed. I got this oven mitt in Ann Arbor. 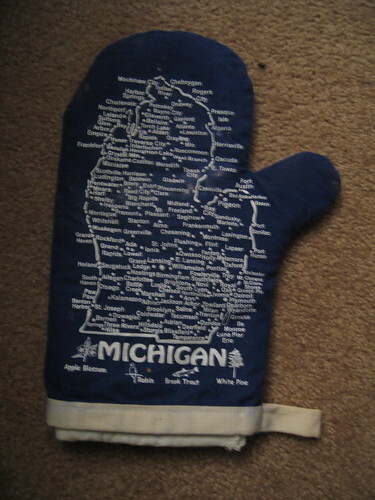 The great thing about a state shaped like a mitten is that mittens/oven mitts make great vehicles for displaying maps.